Posted: Wednesday, June 10, 2015. 4:19 pm CST. Wednesday, June 10th, 2015. 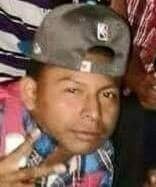 Victor Castillo Reporting: A post-mortem examination conducted on the body of 18 year old Hilberto Sotz, detained by Caye Caulker police on Monday night, indicates that Sotz was beaten to death. The medical examiner determined that Sotz received trauma to the head and blood had accumulated in his stomach. Sotz’ family is disturbed by the doctor’s determination that their son was already dead before he reached the island’s polyclinic. Two officers have been detained and following this result, charges are pending against them. Sotz was initially detained as he disembarked a boat that came from Belize City. While he was not on the island at the time of the burglaries, he was nonetheless detained for questioning. Residents have organized a candle vigil in solidarity tonight at the basketball court in Caye Caulker. Residents are asked to bring a candle, banner, and posters showing their solidarity. The note also added that there will be a box for monetary donations to assist with the funeral expenses.